Our top pick for smart scales to buy will give you the most accurate and comprehensive body composition reading that you can get at home. Sync your favorite fitness tracker and fitness app with the Fitbit Aria 2, the user-friendly smart scale. The Nokia Body+ is one of the only smart scales that has a mode specifically designed for pregnant women. The Yunmai Smart Scale transmits up to 10 body measurements to your smartphone for under $50. Easily check your body’s BMI, weight and water percentage with the Garmin Index Smart Scale. Maybe you have a fitness tracker like a Fitbit or an Apple Watch, so you know the importance of staying on top of your health. Tracking things like your body weight or BMI are convenient when you’re on a fitness journey or for various health reasons. Thanks to technology, scales have gotten a major facelift and made way for the shiny sleek smart scales. 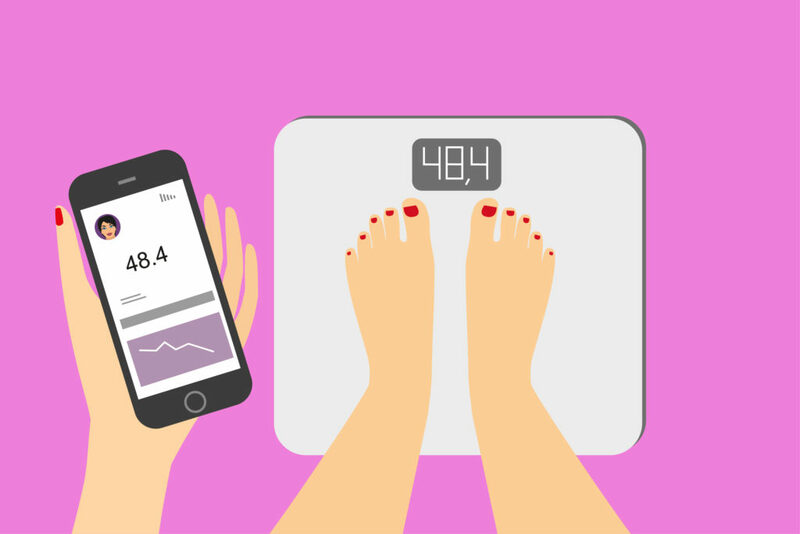 Smart scales are crafty devices that track your weight (and much more) and connect to your smartphone and other smart fitness devices. Smart scales easily connect to an app and pushes all of your health stats and keeps track of all of your health-related data. Some of the best smart scales can do much more than that. They can measure things like Body Mass Index, Heart Rate and even your Lean Mass. Before we jump into the specifics, we’ve researched a few of the best ones depending on your specific needs. Check out our top picks for the best smart scales and what you should be looking for when it comes to choosing a good smart scale. Tracking your weight and tons of other data is made simple with the Eufy Bodysense smart scale. 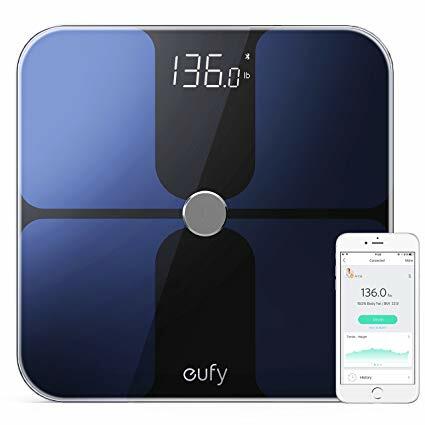 This smart scale connects to your favorite fitness apps, including Apple Health and Google Fit, and tells you up to 13 body measurements. Need a smart scale for the whole family? The Eufy Bodysense can hold data for up to 16 different people, making it a great option for you and your family. 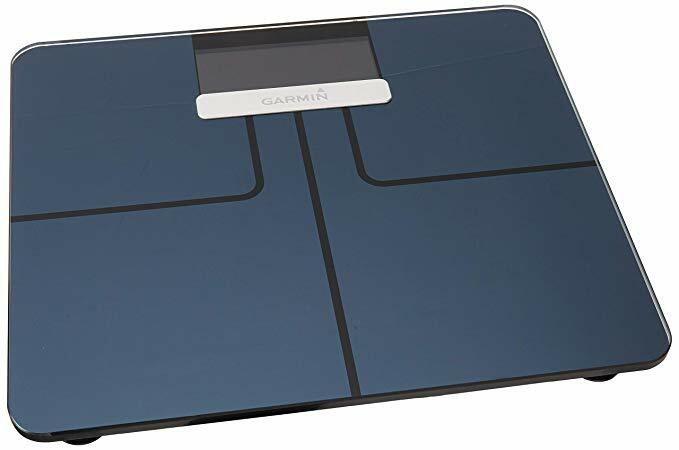 On top of all the fancy and accurate measurements that you can track with this smart scale, it is also sleekly designed and easy to set up and use. Simply use your mobile device’s Bluetooth connectivity to store all of your data. The Eufy Bodysense is the best smart scale for getting you accurate results, fast and is a great choice under $50. 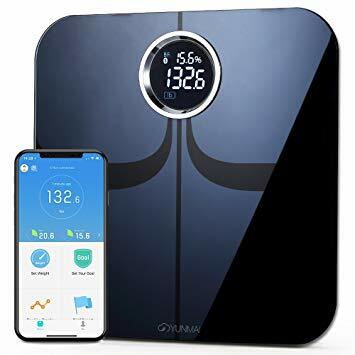 13 Body Measurements: This smart scale does more than just body weight, it tracks your BMI, Lean Mass, Water, visceral fat, muscle mass, and bone mass, just to name a few. Compatible with fitness apps: You can pair it with a number of third-party fitness apps including some of the top ones. 16 unique users: It can pair with up to 16 unique users and has the P1 technology to instantly know who it’s pairing with. Not pregnancy compatible: This scale is potentially harmful to pregnant women and could give inaccurate results. The Yunmai smart scale is a popular choice among users for its value: it delivers in-depth, accurate results and is a great budget option. All you need is your Bluetooth connection to get set up with the Yunmai. In minutes you can track your body weight, BMI, Bone mass and other important measurements. If you have a favorite fitness app you like to use, like Google Fit or Apple Health, you can easily sync. On top of that, due to its lightweight design, it’s a great option for people with space restraints or who want to travel. Affordable: This smart scale is one of the most affordable options, but doesn’t skimp on the quality. 10 Body Measurements: You can easily read up to ten different measurements of your body through its bio-impedance sensors. No Wifi needed: Don’t worry about setting up a wifi connection, Yunmai uses Bluetooth and is easily set up. Limited app compatibility: Doesn’t work with all third-party fitness apps, check with the manufacturer for a list of the apps it works with. Some apps may have partial compatibility. If you’re already a Garmin fitness tracker owner, then you’ll want to get synced up with the Garmin Index Smart Scale. For existing users, this is one of the best options for tracking your body levels. 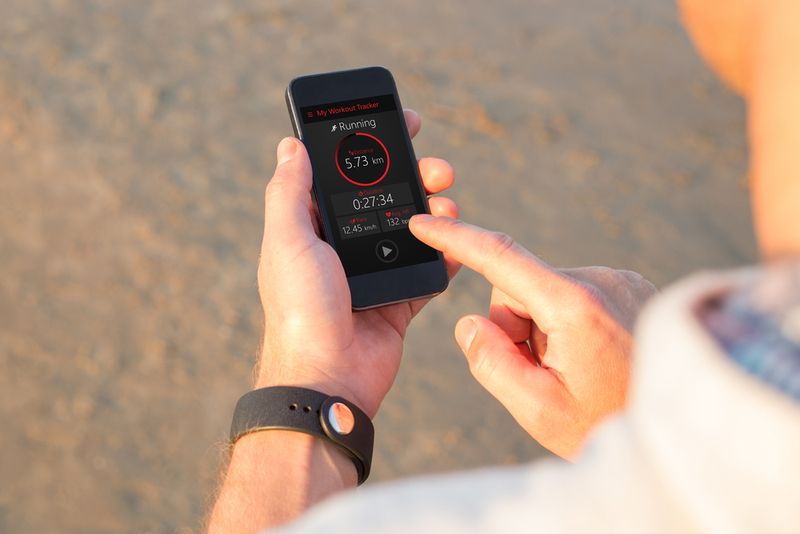 It offers accurate body weight, water, and fat measurements and works for hand in hand with your Garmin Vivosmart. In terms of reading your body levels and integration, this smart scale is great. However, it may be a bit tricky to get it all set up, as the scale requires a strong Wifi connection to send the data to your app. Seamless app integration: If you already use Garmin fitness apps and wearables, the integration is the best aspect of the Garmin scale. Everything seamlessly syncs across all of your devices. Accurate results: The Garmin is a great option for someone who wants to track their body fat measurements daily. It can read your body weight, body fat, BMI and muscle, and bone mass. Limited app compatibility: Aside from the Garmin App, this scale doesn’t offer much support for other apps. We recommend it for Garmin Vivosmart and Garmin app users. Not so user-friendly: While it delivers accurate results, some say the app is glitchy and the scale can be glitchy too. Expensive: This scale is one of the more expensive options out of all of the smart scales we’ve reviewed. If you’re a fitness guru and can’t get enough of tracking your fitness progress, your body measurements, and energy levels, then we’ve found a match for you. The Fitbit Aria 2 is a great option for health gurus, especially if you’re already a Fitbit owner. The Aria 2 is a user-friendly smart scale that will seamlessly link with your Fitbit and fitness apps. It tracks your weight, body mass index and body fat percentage. The Fitbit stores up to 8 different people’s data, so it’s perfect for your family. It also will keep everyone’s data safe and encrypted, since it uses a secure wifi connection to transfer the data. Overall, Aria 2 is a great option for Fitbit users and other people who are obsessed with tracking their body levels and keeping them all in one place. Fitbit Integration: This smart scale is the most appealing for lovers of the Fitbit. Multiple users: The Aria can track up to 8 user’s information and keep them all confidential. Bluetooth and Wifi Connectivity: The Aria 2 can connect with both wifi-encrypted and a Bluetooth connection. Expensive: Just like the Garmin, this scale is a bit expensive, and it doesn’t read as many levels as some of the other scales. Because of the lack of research on using bio-impedance sensors, some smart scales are not pregnancy compatible. When you’re trying to keep track of your weight and body levels during pregnancy, having a smart scale can make that much, much easier. The Nokia Body+ is already one of the most-loved smart scales on the market, but they are one of the top choices for pregnancy. This is one of the few smart scales to offer a pregnancy-specific reading. In the app, along with weight, muscle mass, and body fat, you can also use the pregnancy tracker mode. This mode tracks your weight gain during your pregnancy and tells you if you’re in a healthy range. It also delivers a weekly report with pregnancy-specific health information tailored to your specific trimester. We can’t recommend another smart scale more for pregnancy. Pregnant Tracker Mode: The Nokia Body app has a mode specifically designed to keep track of your health levels during pregnancy. Accurate results: Pairing this scale with the app Health Mate, you can track your weight, BMI and water percentage, and take advantage of several other features. Great for weight loss: Paired with the app you can use it to track weight gain/loss and the app offers suggestions on daily caloric intake for optimized results. Wifi-only connection: You can only sync Body+ with a secure Wifi connection instead of the option to sync with Bluetooth. This could be inconvenient for some users and for people who may want to travel with their smart scale. What should you look for when it comes to buying a smart scale? There are always tons of new features debuting every day and some people may be keen on certain features over others. Here are some of the main components of a smart scale that you should keep in mind. The most important aspect of tracking your body levels is the accuracy of the results. A fancy smart scale is no good if it doesn’t do its job properly, and that’s tracking your weight, BMI and other measurements and accurately sending it back to your mobile app. Usually, the best way to know if a smart scale is accurate is by checking user reviews online and also cross-checking your numbers with your physician. The best smart scale should be able to pull together all of your levels quickly and accurately. The size of your smart scale is important for a number of reasons. People usually have their smart scales sitting out in their bathroom or in their bedrooms. If the size is too big or shaped weirdly, it could be an issue. If the size is an issue for you then keep in mind the scale size in relation to your bathroom. With a smart scale, the best type of display is big and bright with clear numbers. The display should be big enough to view measurements without peering down. If you ever plan to use it at night, the display should also be visible in the dark. Most smart scales displays are designed to show big bright numbers with a backlight clear enough to view regardless of the amount of light. Of course, you will get the full breakdown sent to your phone, but for quick weigh-ins, the display is every bit of important. Almost every smart scale has a weight limit of 400 lbs or 180 kg. There are a few out there that have less, but the normal weight limit to see is between 350-400 lbs. If you or someone you know weigh more than 400 lbs, then keep this in mind when shopping for a smart scale, as you may not get accurate results. The goal of getting a smart scale instead of a regular scale is to be able to track your data seamlessly with your fitness app on your smartphone. The user-friendliness and ease of use is a critical part of using the smart scale. You may have a favorite fitness app that you already use that you want to integrate with your smart scale. 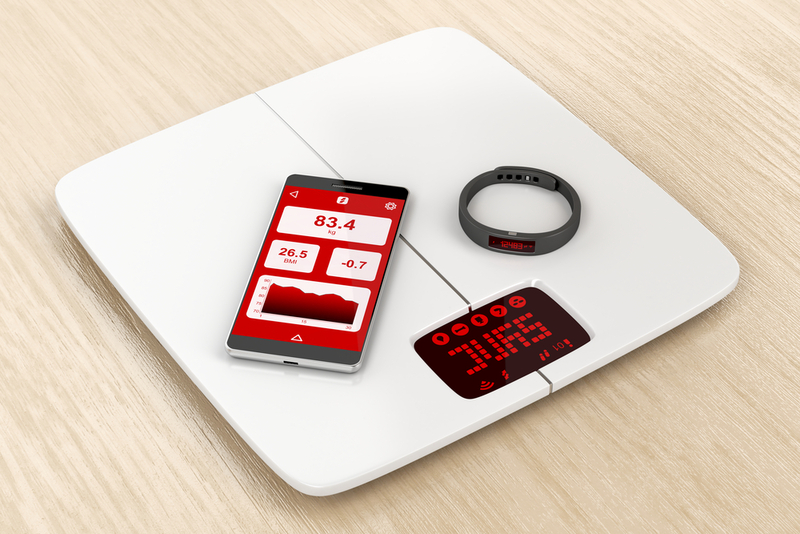 Smart scales like the Eufy BodySense and the Nokia Body+ make this easy since they are compatible with several different fitness apps out there. If you use popular fitness apps like Google Fit or Apple Health, it’s important to check with the manufacturer to see if the scale is compatible. On the other hand, if you are a Fitbit or Garmin user, then you may get the Fitbit Aria 2 or Garmin Scale for optimal app integration. Most smart scales also come with their own app that you can download if you don’t already use a fitness app. The Nokia Body+ has the app Health Mate, which offers several types of readings and fitness tracking options. Some of the better apps offer personal trainer features, calorie intake trackers and other weight loss features that allow you to utilize the smart scales data. The way your smart scale transfers the data to your smartphone depends on the type of connectivity it has. There are two different ways to connect, via Bluetooth or wifi, and the type you should choose depends on your personal preference. Generally speaking, with smart home products, people tend to prefer a wifi connection. However, having a wifi connection isn’t always the better choice, depending on your lifestyle. 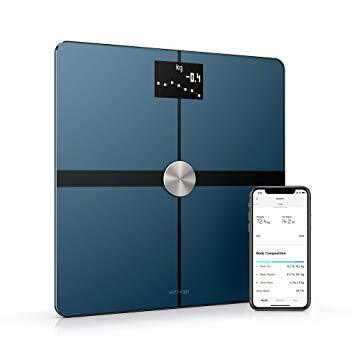 Bluetooth– These smart scales use a Bluetooth connection to transfer the data to your mobile app. These smart scales are usually less expensive since they don’t rely on a Wifi connection to work. However, if your phone isn’t nearby while you’re using the scale you may not be able to sync the results as easily. Some Bluetooth smart scales can save the results and sync the results once your smartphone is nearby. Wifi- These scales use your home’s wifi connection to transmit the data to your phone. This means you don’t need a Bluetooth connection to sync your measurements with your phone. While this is a convenient feature, most smart scales need a strong, encrypted but open Wifi connection to work. That means, if you travel with your smart scale and need to connect it via a log-in Wifi, it may not work. The whole reason for getting a smart scale is to track more than just your body weight, right? So what exactly does a smart scale measure? The answer depends on the brand, as some scales can measure up to 16 different aspects of your body composition. Generally speaking, you’ll at least get up to four or five different measurements with most smart scales. The most straightforward measurement is your body weight. This is calculated in pounds or kgs. Check with the manufacturer to make sure it’s easy to change the scale between kg and lbs for different users. We know, we know. There is a lot of debate on whether body mass index or BMI is actually a useful measurement to track. Many doctors say that BMI isn’t a reliable or accurate measurement to determine if someone is healthy because it relies on your body mass and height divided by your weight. A lower BMI doesn’t always necessarily mean that you’re a healthier person, so take this into account. Some people with lower BMIs may be “unhealthier” than someone with a higher BMI since it also depends on the amount of muscle you have. Despite the controversy of the reliability of BMI, many people still use this number to track their weight loss and fitness journeys. Every smart scale should have this measurement as an option. Your lean body mass is calculated by subtracting your amount of body fat from your body weight. 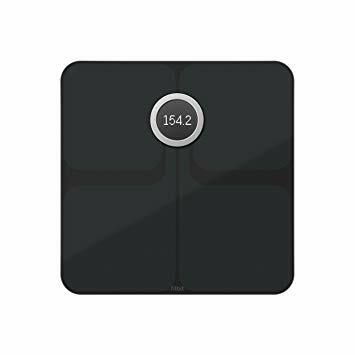 Many smart scales can calculate this number by generating your body fat percentage by sending a tiny electrical impulse through your foot. This impulse, called bioelectrical impedance analysis, goes through your tissue and is designed to give you all of these more specific and less-common readings like the ones below. Tracking your body fat percentage is an important part of many fitness gurus and muscle builders, as the number tells an exact percentage of the body fat divided by your body mass. This metric is also obtained through the bioelectrical impedance reading. Health professionals claim that this is a more accurate metric to rely on compared to your BMI. Your body water percentage is how much water you have in your body. The normal range is about 50-65% in men and 45-60% in women. You should aim to have this level of water in your body for your organs to properly function. A smart scale with this metric will help indicate when you need to hydrate more. Your basal metabolic rate is the number of calories your body uses while its at rest in order to properly function. A higher BMR measurement means your body burns more fat while it’s seated and sleeping, which is a great way to lower your body fat percentage. If you’re on a fitness journey, your BMR is a great measurement to track your progress in your body when it comes to the energy levels and the amount of muscle. Most apps will use your BMR to tell you how many calories you should consume in a day to keep your BMR higher, and your body fat lower. You may already have a fitness tracker that reads your heart rate, but having your heart rate sent to your fitness app through your smart scale is convenient as well. This helps to keep track of your heart health in relation to the other metrics. Smart scales that have this ability to use the same bioelectrical impedance analysis to obtain this number. It then sends your heart rate to your fitness app to keep them all in one place. For easier ways to track your heart rate, check out the best heart rate monitors on the market. Warning: Since many of these upscale metrics rely on the electrical impedance, anyone who is pregnant or has a pacemaker is advised to not use these smart scales. Double check with your manufacturer if this applies to you and always read the manual to make sure. If you are pregnant, use a Nokia Body+, as it has a mode specifically for pregnant women. So which smart scale should you take home? We think you should get the smart scale that pairs the best with your fitness apps and seamlessly integrates with your existing smart home system. Let us know which smart scale one is your favorite!